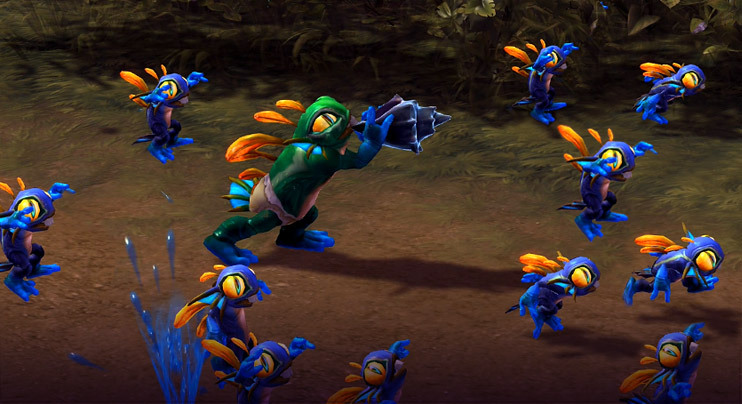 March of the Murlocs After 0.75 seconds, Murky commands a legion of Murlocs to march in a target direction, each one leaping onto the first enemy Hero or Structure they find. Each Murloc deals 125 damage and slows its target by 15% for 5 seconds. Murlocs deal 50% damage to Structures. Octo-Grab Murky becomes Unstoppable and Stuns target enemy Hero for 3 seconds while he hits them for 1 damage a second. Slime Deal 86 damage and apply Slime on nearby enemies for 6 seconds, slowing them by 20%. Deal 210 damage to enemies who are already Slimed. Pufferfish Spit out a Pufferfish with 225 health at the target point. After 3 seconds, the fish will blow up for 410 damage. Deals 50% less damage to Structures. Safety Bubble Becomes Invulnerable for 2 seconds. 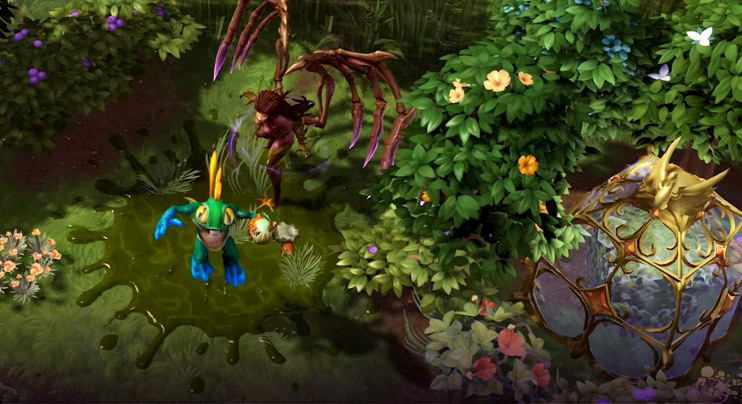 While active, Murky cannot attack or use abilities. Spawn Egg Place an Egg at target location, revealing the nearby area. Upon dying, Murky respawns at the Egg after 8 seconds. 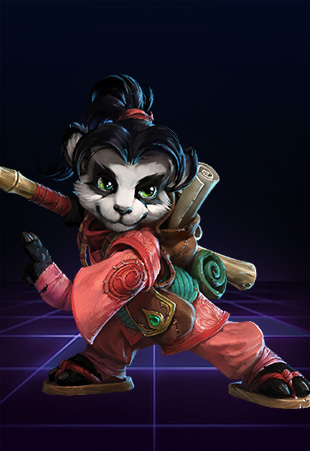 Murky only grants 25% of a real Hero's experience upon dying. 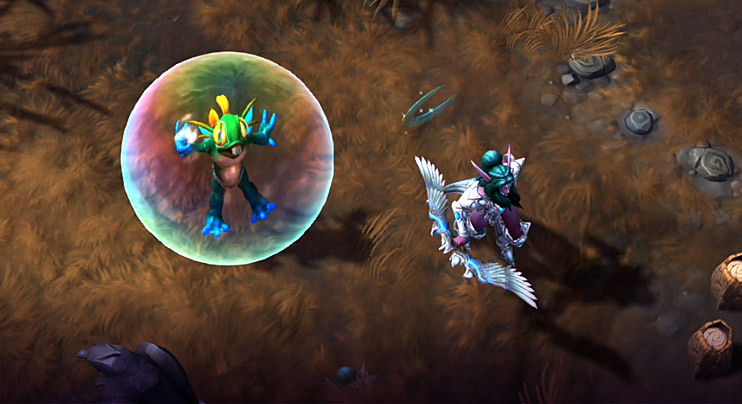 If Murky's Egg is killed, he is revealed to enemies for 15 seconds, and Spawn Egg is placed on cooldown. Place an Egg at target location, revealing the nearby area. Upon dying, Murky respawns at the Egg after 8 seconds. 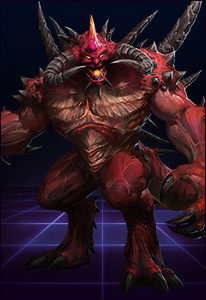 Murky only grants 25% of a real Hero's experience upon dying. 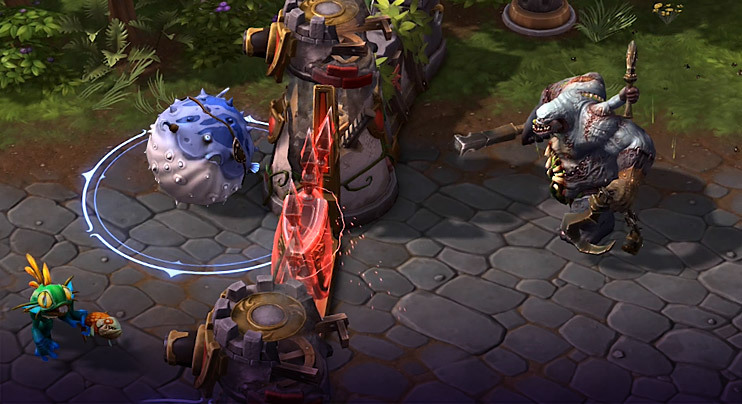 If Murky's Egg is killed, he is revealed to enemies for 15 seconds, and Spawn Egg is placed on cooldown. Deal 86 damage and apply Slime on nearby enemies for 6 seconds, slowing them by 20%. Deal 210 damage to enemies who are already Slimed. Spit out a Pufferfish with 225 health at the target point. After 3 seconds, the fish will blow up for 410 damage. Deals 50% less damage to Structures. Becomes Invulnerable for 2 seconds. 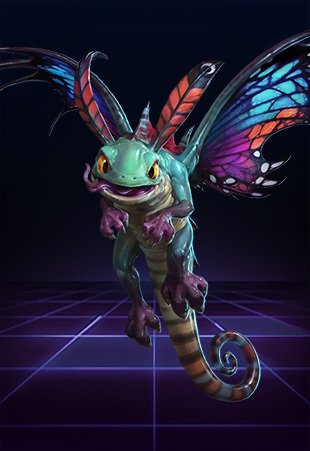 While active, Murky cannot attack or use abilities. 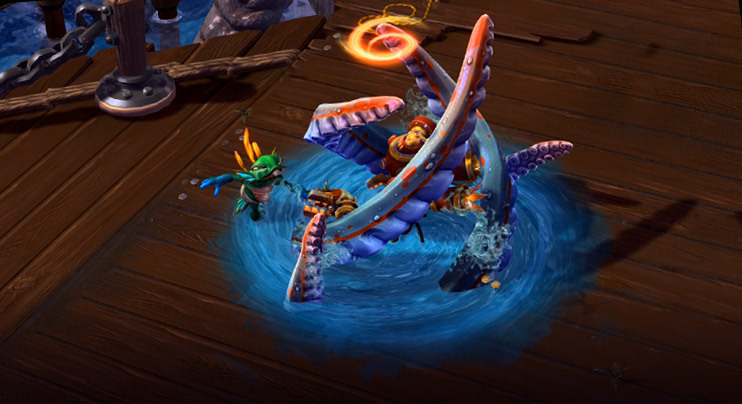 After 0.75 seconds, Murky commands a legion of Murlocs to march in a target direction, each one leaping onto the first enemy Hero or Structure they find. Each Murloc deals 125 damage and slows its target by 15% for 5 seconds. Murlocs deal 50% damage to Structures. 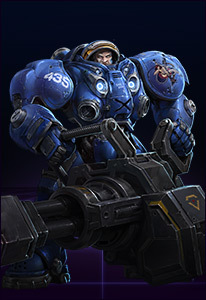 Murky becomes Unstoppable and Stuns target enemy Hero for 3 seconds while he hits them for 1 damage a second.